Read all about We are The Lions Mr Manager – the show which has had audiences standing on their feet, up and down the country. Townsend Productions’ latest show, ‘We Are The Lions Mr Manager,’ has been causing quite a stir with standing ovations at nearly every venue and rave reviews from the press. That’s why we are so excited to be hosting the company on Thursday, November 30th at Barton Assembly Rooms. There are a few tickets left so hurry! 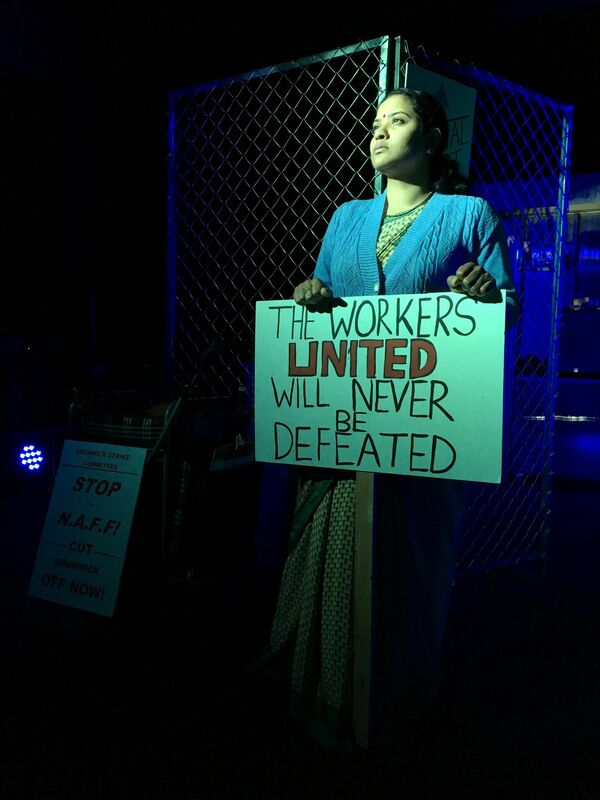 The show tells the story of Jayaben Desai’s fight for dignity in the workplace, when she led the Grunwick Film Processing Factory Strike of 1976-78. Jayaben and her colleagues stood up to their unfair bosses and kick-started one of the longest and most important industrial disputes in British history. The strike challenged stereotypes, changed the face of white, male trade unions and inspired others to speak out against injustice. As you can imagine, it’s a powerful performance and one that has touched all who have seen it so far. Click on the link below and on the bottom left to see an interview with Estuary TV on how the show came about.